Head of Russian MMA Union's licensing department Maria Makhmutova participated in the seminar for judges and referees under the guidance of legendary UFC referee John McCarthy. 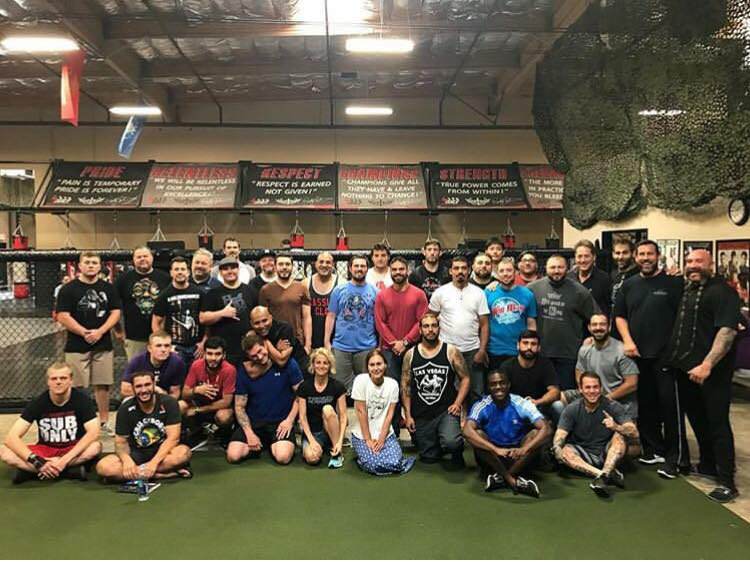 Over 30 participants from such countries as Canada, USA, England, Brasil, Russia, China flew in Las Vegas at Randy Couture's Extreme Couture MMA gym. Theory and practice were devoted to improve knowledge and application of MMA Unified Ruleset. In particular 10:9 and 10:8 rounds were discussed and elaborated. Beside Big John some of the most well-known judges and referees assisted the seminarL Mike Beltran, Jason Herzog, Michael Bell, Mike Goddard. Such veterans of sport as Chris Cyborg and Frank Trigg attended the event, too.